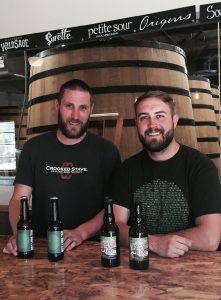 A collaboration between Cumbria’s Hawkshead Brewery and Crooked Stave Artisan Beer Project in Denver, Colorado, USA. Key Lime Tau Beer, is brewed with fresh lime zest and lemon grass, which gives the beer a biscuity taste and a strong lime flavour – just like a key lime pie. Key Lime Tau (a clever play on the mathematical term ‘pi’ multiplied by two which is ‘tau’) is a limited edition kettle-soured, lactose-infused golden ale. Thursday June 28th 2018 will see craft beer lovers and maths fanatics alike, rejoice across the globe with the annual release of the very rare beer, as Key Lime Tau is famously only released for one day each year – naturally on International Tau Day (28 June). Hawkshead Brewery, cutting edge brewers of bold, innovative beers, was founded in 2002 at Hawkshead in the heart of the English Lake District. In 2006 the brewery moved across Windermere to larger premises at Staveley Mill Yard and a new tailor-made 20 barrel brewery. In early 2017, Halewood Wines & Spirits, the UK’s largest independent alcohol distributer and manufacturer, took ownership of Hawkshead Brewery and is funding the building of a new Krones AG turnkey brewery, due to open early summer 2018. 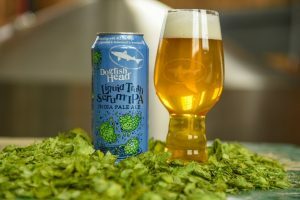 Milton, Del., June 15, 2018 – After an overwhelmingly positive reaction from fans, Dogfish Head Craft Brewery’s Liquid Truth Serum is back by popular demand as a year-round brand and is making the transition from 6pk/12oz bottles to 4pk/16oz cans. Clocking in at 7% ABV and 65 IBUs, the unfiltered Liquid Truth Serum is golden-orange in color, with citrusy notes of mandarin orange, tangerine, tropical mango and hints of juicy stone fruits. 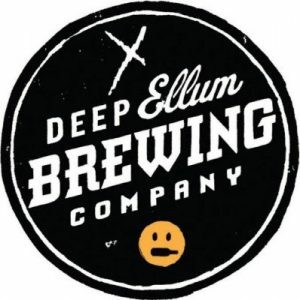 DALLAS, TX – JUNE 12, 2018 – Deep Ellum Brewing Company is the latest craft brewery to join the CANarchy Craft Brewery Collective. 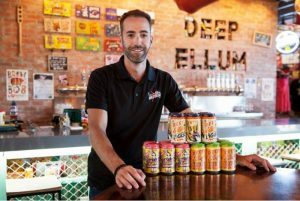 For Deep Ellum, a craft brewery with rough edges and deep roots in the Deep Ellum neighborhood of Dallas, Texas, the move to join the disruptive collective of independent brewers will immediately provide resources for increased production and distribution. LONGMONT, CO., BOULDER, CO., and BREVARD, NC, JUNE 13, 2018 – Oskar Blues Brewery will release a very limited amount of Bourbon Barrel-Aged Mocha Ten FIDY Imperial Stout on July 7, (National Chocolate Day) at the Oskar Blues Boulder, Longmont, and Brevard Taproom locations. Bourbon Barrel Aged Ten FIDY was massively doused with unsweetened pure liquid cacao made by our friends at Cholaca, then dosed with Hotbox Roasters’ cold brew from Mexican coffee beans. 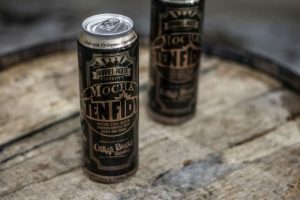 BA Mocha Ten FIDY will be available in Oskar Blues Boulder, Longmont and Brevard taprooms only. Numbered wristbands will be handed out at 9:30am but a line may begin to form much earlier. Wristbands will allow folks to (reasonably) wander without losing their place in line. Each wristband has a number on it, and yes that number does matter. Beer will be sold in order according to the number system so Mocha seekers must be present when their number is called. Each person may purchase up to five cases of BA Mocha Ten FIDY. 19.2 oz cans come in 12-count cases. If there are cans left at 3pm (both MST and EST), a “No Limit” rule kicks in and peeps will be able to purchase to their hearts’ content. At that hour on a Saturday, of course there will be breakfast food available; and the coffee isn’t just in the beer – Hotbox Roasters will be on the scene to satisfy wake-up needs. All sales (draft and cans) will begin at 10am. A limited amount of BA Mocha Ten FIDY will be on draft, 10 ounces at a time. (ST. LOUIS; June 14, 2018)— Hibiscus & Lemongrass Blonde Ale, the latest beer in the Cellar Selections Series is a citrus-forward, blonde ale will hit Schlafly’s distribution area in limited quantities, beginning Friday, June 29. At 4.7% and 25 IBUs, the Hibiscus & Lemongrass Blonde Ale is the perfect summer libation to gather around the barbecue. With lemongrass and hibiscus prominent in many cultural cuisines, this beer is the perfect pairing for bold grilling flavors like Korean BBQ or a South American asado feast. Hibiscus & Lemongrass Blonde Ale is the fourth beer in Schlafly’s 2018 Cellar Selections, following Paloma Gose, Raspberry Chipotle Brown Ale and Kentucky Mule Ale. 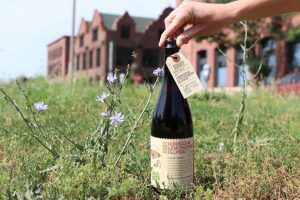 Schlafly’s Hibiscus & Lemongrass Blonde Ale will be available at the brewpubs as well as limited markets across Schlafly’s distribution for a suggested retail value of $13.99. 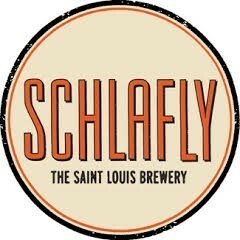 For more on Schlafly Beer’s distribution, visit http://www.schlafly.com/beer-finder/ . 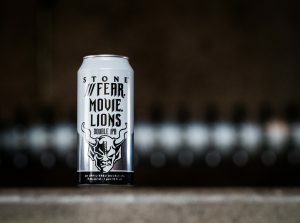 ///Discouraged.Stones.Visit (June 15, 2018) – Stone Brewing announces the release of Stone ///Fear.Movie.Lions Double IPA is named after a 3m x 3m square in Stone’s Richmond, VA brewery with three words painted on it. What three words? what3words, a global addressing system that brings locators to the previously difficult to locate locations around the world. Literally. As in, more than three trillion of them. 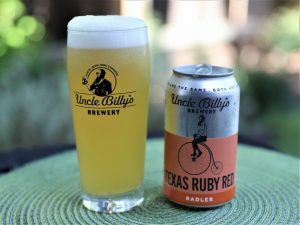 AUSTIN, Texas (June 13, 2018) –Uncle Billy’s Brewery & Smokehouse, is introducing Texas Ruby Red Radler, a German-style beer blended with Texas-grown fresh ruby red grapefruit juice. Radlers is brewed with pilsner, Vienna malts, and Magnum and Hallertau Mittlefruh hops, resulting in a gorgeous pale-golden beer with a light pink hue. Uncle Billy’s Texas Ruby Red Radler is 3.7% ABV, perfect for cooling off in the summer heat. Uncle Billy’s Texas Ruby Red Radler is widely available on draft and in 12-ounce cans at hundreds of bars, restaurants, and retail stores in Texas. 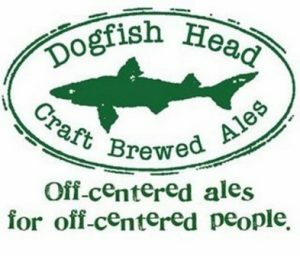 Uncle Billy’s Brewery is distributed by Brown Distributing Co. Inc. in Austin; Favorite Brands in Dallas, Fort Worth and Houston; GLI Distributing in San Antonio; Keg One in the Hill Country; and Tri-City Distributors in New Braunfels, TX. Founded in 2006, Uncle Billy’s Brewery & Smokehouse is located in the heart of Austin’s funkiest restaurant row on Barton Spring’s Road and is inspired by William “Uncle Billy” Barton, whose 1830’s tract included the renowned springs. Uncle Billy’s offers the perfect combination of award-winning, craft beers, distilled spirits, hand-crafted cocktails, and delicious, slow-smoked Texas barbeque. Learn more at: http://www.unclebillys.com/ and connect with Uncle Billy’s Brewery on Facebook, Instagram and Twitter.